The bicentennial celebrations of Mexico’s Independence took place across Mexico without incident, albeit under heavy security and some restrictions on public access. 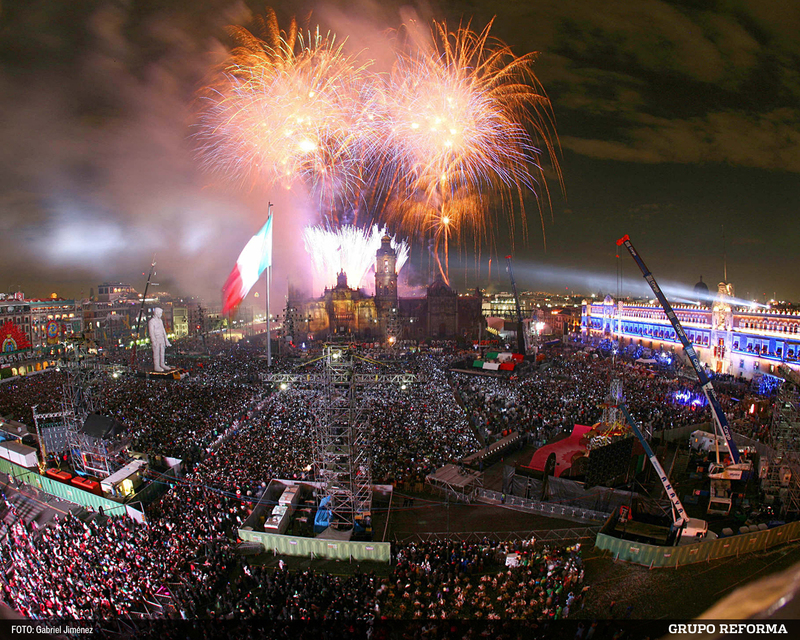 At the National Palace in Mexico City, President Felipe Calderón gave the traditional “Grito” or Cry of Independence. He was joined by former Presidents Carlos Salinas de Gortari (1988-94) and Vicente Fox (2000-06). The other living ex-Presidents, Luis Echeverria (1970-76), Miguel de la Madrid (1982-88), and Ernesto Zedillo (1994-2000), declined Calderón’s invitation. This entry was posted in Drug wars, Government, Parties, Security. Bookmark the permalink.